Fall is in full swing but if you’re in Calgary it’s more like winter which means trying to stay cozy and healthy!!! 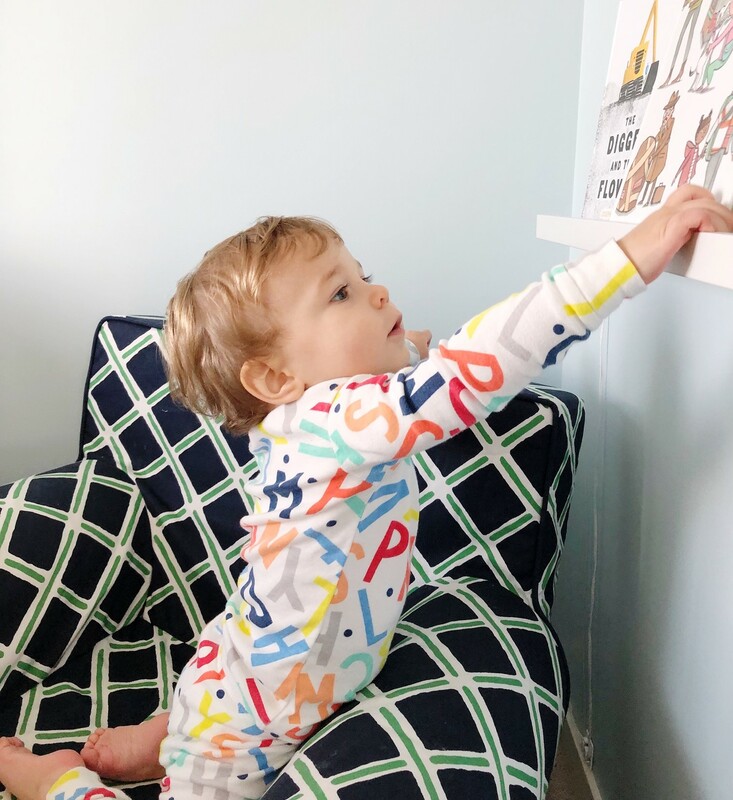 This September has been busy for us adjusting to Luke’s new preschool and daily routine, plus trying to stay busy with some extra curriculars like swimming lessons, so it’s safe to say I don’t have that much time to shop right now. If you follow me on Instagram you also know that I’ve been working through our closets and trying to get rid of things we don’t use anymore and stay better organized. I find when you organize it makes you not want to bring anything new in. Anyone else feel that way too? Today I’ll be showing you a variety of 10 of my favourite items from all different categories including back-to-school lunches, health and wellness, skincare, and casual clothes. Roots Baby Original Cozy Sweatpant – Love love love the Roots baby and children’s line and these adorable sweats for Charlie do not disappoint. So cozy and comfy for around the house or to wear on playdates. 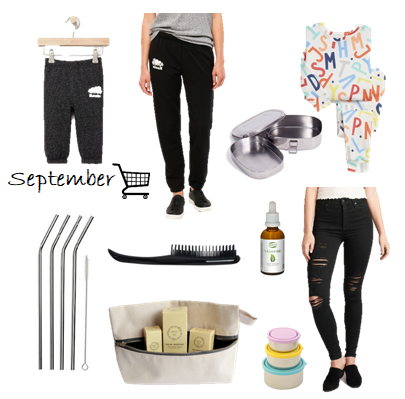 I always get our sweats when they’re 30% off which is usually on long weekends and holidays. Right now Roots is having 25% off the entire store until October 14th. Roots Women’s Original Cozy Sweatpant – I finally retired my salt and pepper Roots sweats that I had for about 14 years so I figured it was time to spring for a new pair. (For the record, my old pair weren’t even that worn it was the drawstring waistband that gave out.) I grabbed this more fitted style during Labor Day weekend for 30% off. Right now Roots is having 25% off the entire store until October 14th. Onyx Medium 2-Layer Sandwich Box – We are really trying to reduce the amount of plastic that we bring into our house especially when it comes to packing lunches. I like this 2-layer sandwich box for on the go because it’s actually quite lightweight but deep so you can store lots in there. Use promo code TSG18 for $10 off your purchase when you spend $40 or more through Well.ca. Offer expires December 10, 2018. 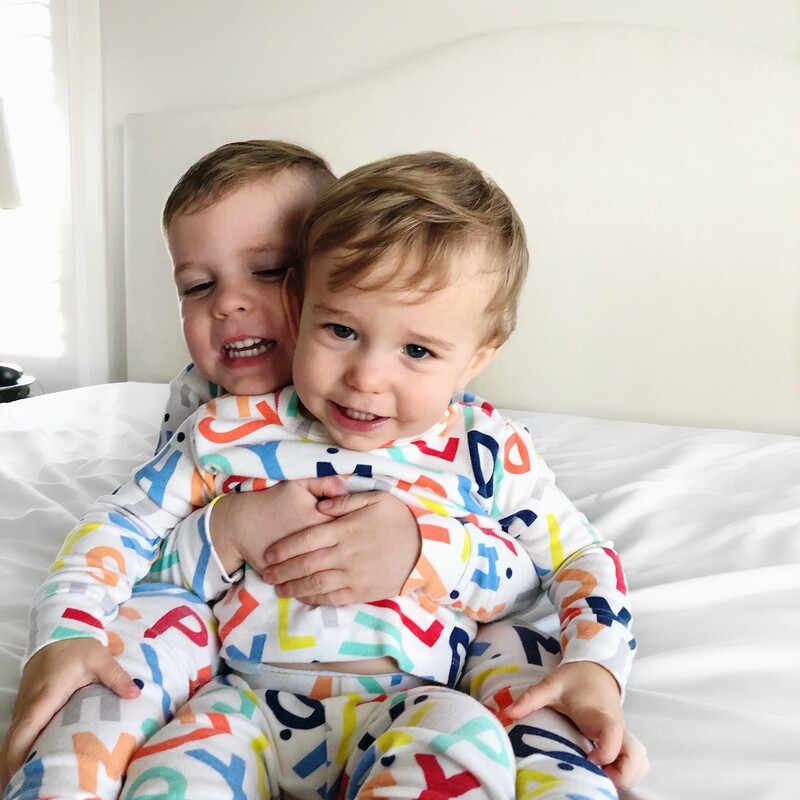 ABC Pajama Set – These are most definitely the cutest jammies the boys own right now. I love how colourful and bright they are. It melts my heart when I can hear Luke singing his ABC’s in the morning when he wakes up. I picked them up at Gap Kids during Labor Day weekend at 50% off. Use code GAPSOGOOD to receive 40% off until October 11, 2018. 5. Onyx Stainless Steel Straws – Did you know that plastic straws are being banned and discontinued at a lot of places now, or only offered “upon request”, because of the pollution issue? The statistics are frightening! The U.S. are using 500 million straws a day!!!!! The problem with straws is that they aren’t biodegradable but they do break down into smaller pieces and end up getting ingested by marine and land animals which then enters our food chain. If you’re interested in this topic, check out the organization The Last Plastic Straw and how you can help this global movement. Use promo code TSG18 for $10 off your purchase when you spend $40 or more through Well.ca. Offer expires December 10, 2018. 6. Tangle Teezer Wet Detangling Hairbrush – Who has heard of the Tangle Teezer? I had my eye on this hairbrush for a while now and wanted to see if it was worth the hype. It definitely is efficient at detangling but I find the bristles a bit sharp. It’s extremely lightweight for travel and I like that you can leave it in your shower after you condition your hair when you need to work through the tangles. Use promo code TSG18 for $10 off your purchase when you spend $40 or more through Well.ca. Offer expires December 10, 2018. 7. Capsule Skincare Collection by Somerset Moss – If you’re looking for a natural, beautiful and easy skincare routine, you need to check out Somerset Moss. Their capsule collection includes a mist, oil, and a balm. All products are very multi-purpose and these three are perfect for travel when you just want to take the basics with you. You can use the mist to refresh or set your makeup, the oil is as a nice gentle moisturizer, and the balm works as a hydrating overnight mask or on any dry patches you might have. To read my full review on the Vancouver based company and products, you can take a look at my last blog post here. Use promo code SG18 for 20% off your order. 8. St. Francis Herb Farm Deep Immune Children’s Formula – This immune booster came highly recommended to me from my sister. Perfect to have on hand and use throughout the school year or when cold/flu is at it’s peak. I just put some drops into Luke’s morning smoothie and he’s good to go for the day. Use promo code TSG18 for $10 off your purchase when you spend $40 or more through Well.ca. Offer expires December 10, 2018. 9. Kids Conserve Nesting Trio -These stackable and nesting stainless steel containers are awesome for storing and come in the perfect sizes. Not too big, not too small and in a fun arrangement of colours. They also have nice tight lids that make them leak proof as well. Use promo code TSG18 for $10 off your purchase when you spend $40 or more through Well.ca. Offer expires December 10, 2018. 10. A&F High Rise Super Skinny Jeans – Last year I regretted not getting a black ripped pair of denim jeans so as soon as I saw A&F’s 60% off sale I hopped all over it. The denim is durable, stretchy, and hugs in all the right places. They’re also high waisted and awesome for sucking everything in. The distressing on the legs isn’t over the top either like some pairs I’ve seen. Have you tried any of these products? Let me know which one is your favourite in the comments below.